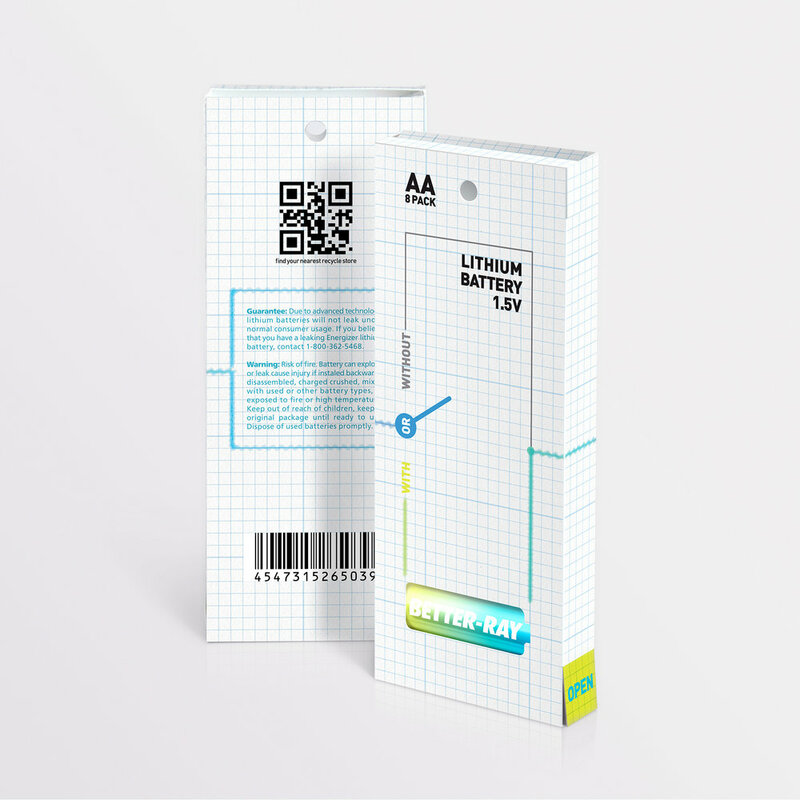 This is a revolution of battery package due to the function of storage and categorize. 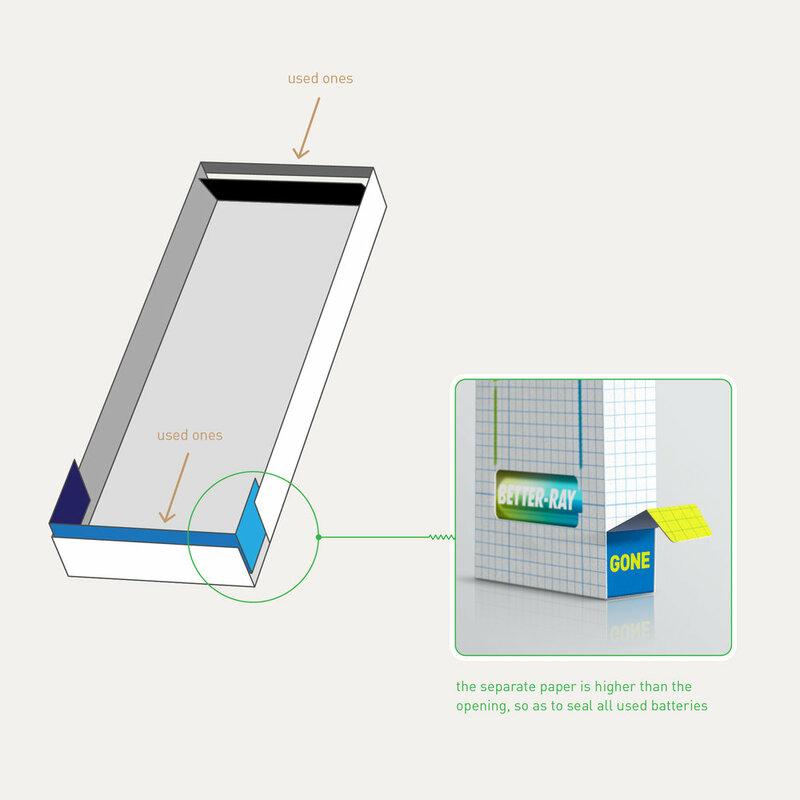 The idea is all about environmental protection, from the material of the package to the structure, which helps storage and collecting all the used batteries. New and used batteries are separated by a piece of hard board. Once the last battery is taken, the hard board will drop to the bottom sealing the opening. Batteries play an essential role in people’s life. However, the components such as zinc, manganese, and lithium, may cause chemical burns on skin or in people's eyes, who are not that friendly. What’s more, used batteries, if go to landfill, will contaminate the groundwater. All in all, since batteries are not biodegradable, the best way to disposal is recycling.